Cutting off all your hair can be the stuff nightmares are made of for most women. Despite that fact, more and more women are big chopping to join team natural. As they should be! Going natural can be the most exhilarating, and according to many women, the best decision one can make. A little preparation will help to make the journey to natural as smooth as possible. Read on for a few must-haves you'll need in your big chopper arsenal. Hair products are NOT one size fits all. What works for one curly may leave another with terrible tangles. So in order to find what works best for your unique curls to create styles that match your personality you're going to have to experiment. The good news is that product experimentation is one of the most fun aspects of being a curly. 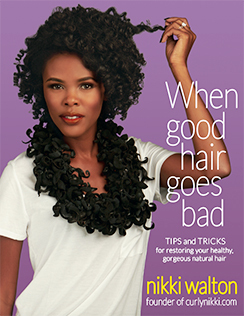 Most naturals like it so much that they continue to experiment long after they've found what works for them. Plus the good news is that companies are constantly creating new products so there will always be a product to pique your curiosity and fuel your raging product junkyism. Having said that if you’re a curly on a budget there are plenty of low cost solutions that will still enable you to experiment; like using one product for multiple purposes (using your conditioner as a deep conditioner or leave- in) or creating some at home mixtures like flaxseed gel that won’t break the bank. It's hard to go against the grain and choose to wear your hair in a style that, to this day, many consider unprofessional, unkempt and not fashionable. We of course know that natural hair is fabulous but until the rest of society catches up you’re going to need a thick skin. Your self-confidence should never be determined by other people because at the end of the day the only opinion that matters, when it comes to your appearance, is your own. This should probably go without saying but your everyday household scissors should never, ever come into contact with your curls because they are too dull. Don't even think about it! The dullness of the scissors will cause your hair to be crushed by the blades rather than cut cleanly which can cause split ends. Also since your hair will be so short you might not feel the need to trim for at least a year thus, it’s important that you start your journey with healthy ends. 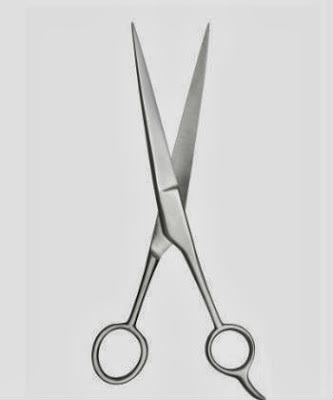 Do yourself a favor and invest in some good hair shears and never use them for anything other than cutting hair. (Also threaten anyone in your household with bodily harm if you catch them using your hair shears). There are 2 types of big choppers: the successful ones and the ones who inevitably end up going back to relaxing their hair. Usually the difference between the two is that the successful big choppers, who went on to grow out their natural hair, did their homework first. The learning curve for many is steep because a lot of us have not seen our natural hair since we were children, thus have no experience dealing with it. If you're reading this article then you're already on the path to success! Good accessories should be in any naturalista’s arsenal, but they are especially important for a newbie. When you're starting out it is inevitable that you will have one or two bad hair days. When those days roll around you may not have the luxury of waiting it out away from scrutinizing eyes. That’s where your accessories come in. Hats, scarves, clips and bows can all help to either hide your hair or be so fabulous as to act as distractions. Cute accessories can be particularly helpful in your TWA stage. When the novelty of short hair wears off and you're stuck with hair too short to really style, accessories can help you fall in love with your hair all over again. No two curly heads are alike and our regimens are personalized for our curls with their unique personalities. There are so many methods and techniques out there from cowashing, to pre-pooing and heat stretching and they all have their pros and cons. When you’re starting out you owe it to your curls to find out what they like and the only way to do that is to experiment. It may be tough at the beginning constantly experimenting but when you do finally settle on your regimen it will be like the heavens have parted and curly haired angels have begun to sing. When you’re making a big life change it’s always nice to have someone in the same boat as you for support who gets it. Having a natural friend means you’ll always have someone around to swap products with, engage in a long-winded conversation about all things natural hair and help council you on those days when you're fed up (because they’ve been there). But if you don't have any natural haired ladies in your life then look no further than the online natural haired community. 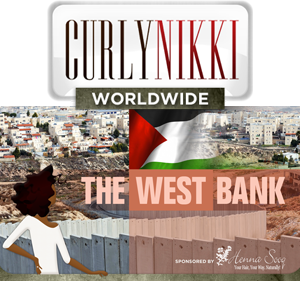 Natural hair forums bring together curlies from all around the world to talk about a subject we love so much: our hair! 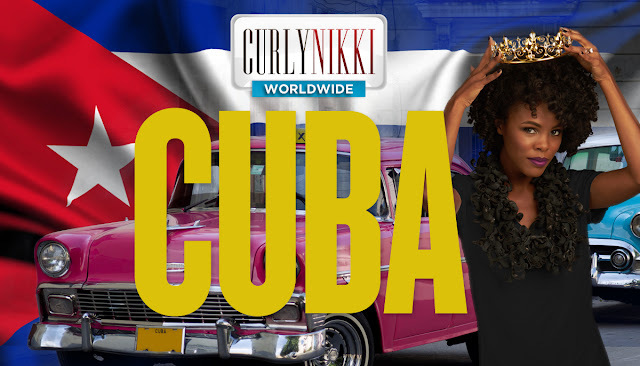 Message boards like CurlTalk and CurlyNikkiForums.com are full of curlies who will encourage you, help you with product recommendations and styling, and simply gossip about what’s new and hot in the natural haired world. It's a great way to meet curlies in your area by attending meetups. Are there any other things you think should be on a would-be naturalistas to-get list before she does her big chop?